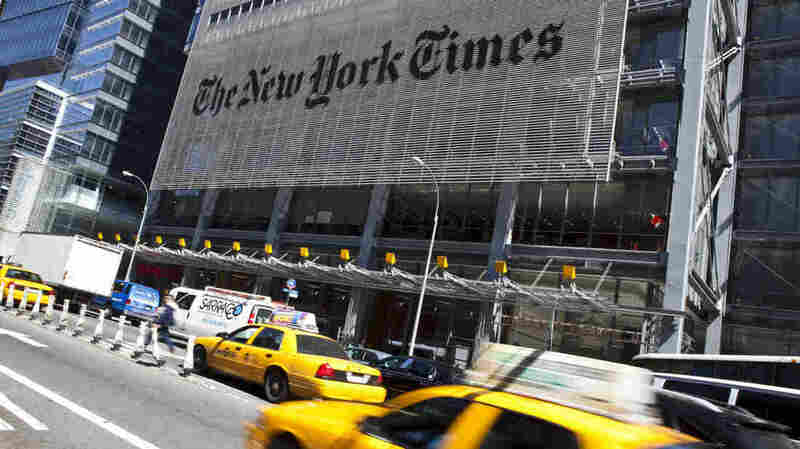 Hack Attack On 'New York Times' Looks Like Part Of Chinese Campaign : The Two-Way Western news outlets that have been reporting on alleged corruption among China's leadership appear to be targeted. The Times says it has been under attack for four months. "For the last four months, Chinese hackers have persistently attacked The New York Times, infiltrating its computer systems and getting passwords for its reporters and other employees." ... appears to be "part of a broader campaign against American media reporting on Chinese leaders," NPR's Louisa Lim reports from Beijing. "In late October, the Times reported that family members of China's Premier Wen Jiabao had accumulated assets of at least $2.7 billion. That very day, unusual activity was noticed on the Times computer network. Security experts began tracking intruders inside the system. "The Times says the hackers broke into email accounts of two Times journalists, and stole passwords belonging to others. The hackers had attacked through computers at American universities. Experts say they used methods associated with the Chinese military. "The Times says Bloomberg news was also targeted by hackers after reporting on the family fortune of another Chinese leader. The Ministry of National defense in Beijing says it is baseless to accuse the Chinese military of cyberattacks without solid proof." On Morning Edition, reporter Nicole Perlroth, who covers cyber security for the Times, said investigators found that the malicious software used in the attack on the Times had been "previously seen in hundreds of other attacks" and that the "command and control centers" where the attacks on the Times have originated are "known to have been used by the Chinese military in previous attacks." The Wall Street Journal reports that it, too, "had been infiltrated by Chinese hackers." "'Evidence shows that infiltration efforts target the monitoring of the Journal's coverage of China and are not an attempt to gain commercial advantage or to misappropriate customer information,' Paula Keve, chief spokeswoman for the Journal's parent company, Dow Jones & Co., said in a written statement Thursday. Dow Jones is a unit of News Corp.
"The infiltration of networks related to coverage of China is an "ongoing issue," Ms. Keve said. 'We continue to work closely with the authorities and outside security specialists, taking extensive measures to protect our customers, employees, journalists and sources.'"